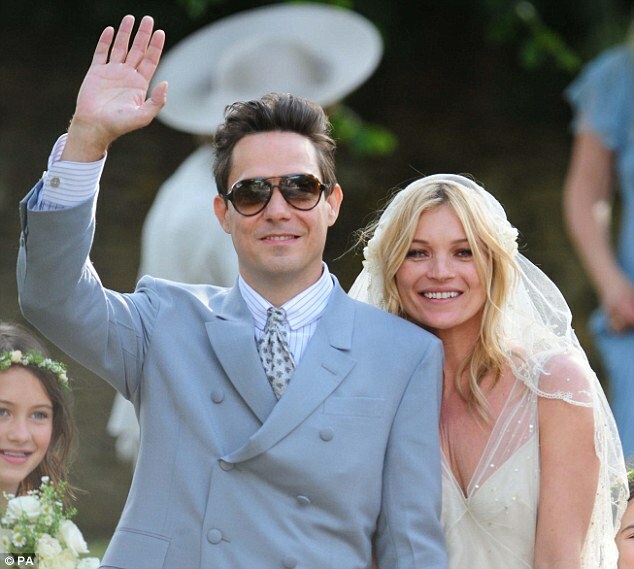 Kate Moss ties the knot! 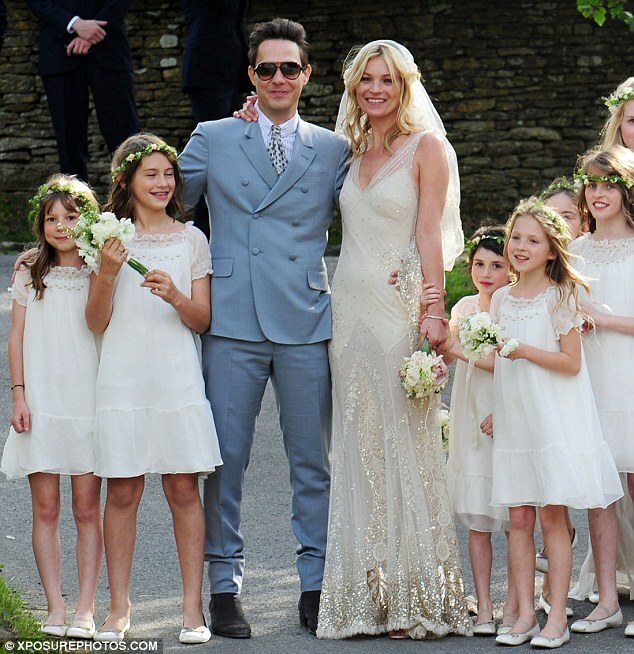 Supermodel Kate Moss married Jamie Hince this afternoon in the Cotswolds wearing a stunning John Galliano gown. The model's dress was a cream vintage design with floor length veil. It had beautiful gold leaf embroidery and rhinestone detail. I loved Kate's detail on her wedding dress - lovely design! John Galliano did a marvellous job of designing the wedding dress. It's a very beautiful, elegant dress and flatters the bride modestly. I've seen many media reports and critics were surprised she chose John Galliano to design her gown following the recent scandal whereby he allegedly made anti-Semantic remarks. I knew Kate would pick John Galliano as they have been close friends and he was a firm favourite to be chosen as her designer. Kate chose Manolo Blahnik for her wedding shoes. He specially made the shhoes with a blue insole as Kate's "Something blue" and to match her husbands ligh blue Stefano Pilati YSL suit. Typically he chose to wear sunglasses to give it that "rock star" twist. Perhaps the shades should have been left for afterwards? !